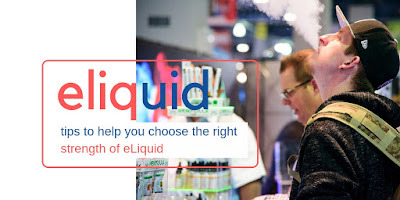 Easy Tips to Help You Choose the Right Strength of eLiquid. eCigarettes are in the trend now. And there are some healthy benefits as well. Electronic cigarettes or e-cigs are steadily rising in popularity. The product comes in a range of varieties based on nicotine strength. Here are some useful tips to help you choose the right strength of e-liquid. Switching over to electronic cigarettes from the conventional tobacco variety is the ongoing smoking craze in the UK. Smoking eCigs or elecronic cigarettes is also called vaping. You may wonder what are the reasons behind the rising popularity of vaping. 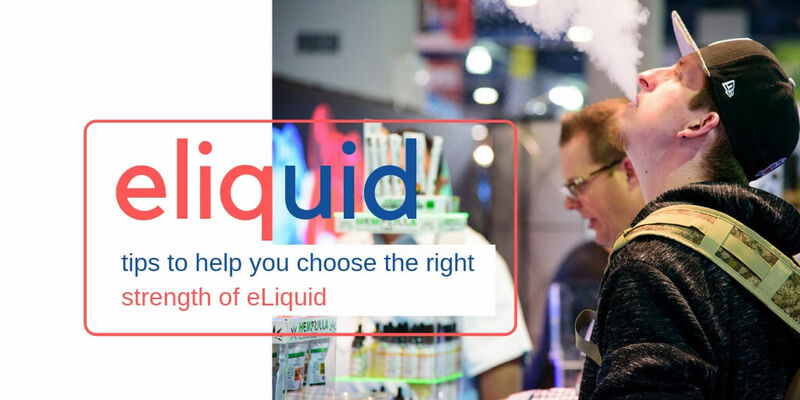 An eCommerce business owner running a successful e liquid store in the UK says there’re hundreds of reasons that contribute to the popularity of the product. But the most significant among them is the health factor. The society today is more health-conscious than ever. People are aware about the harmful effects of smoking. Combining these two facts together, an increasing number of smokers are switching over to the electronic version of cigarettes. It is a device that delivers electronic nicotine and is mainly designed to help people quit smoking. Known by different names as e-cigs, e-cigarettes, vape pens, the device proves useful in helping smokers cut down on smoke. You use it just like a normal cigarette. The device comes with a heating element powered by a tiny battery. This mechanical ingredient heats up the e liquid, turning it into vapour. Users inhale the vapour to fulfil their craving for nicotine. As compared to normal cigarettes, it delivers you smoke containing much less toxins. Moreover, it is free from the cancer-causing tar that you automatically inhale along with a normal tobacco cigarette. eCigarettes come in a large number of varieties. The percentage of strength in E-Liquid also varies with products. You must choose the right nicotine strength to satiate your craving. If you choose too strong a product, you may end up coughing your life out. On the other hand, if you choose too mild a product, you’ll think the whole idea of electronic cigarettes is simply crap. Neither it will satisfy your craving nor will it reimburse the money you invested. Here are some tried and tested tips to help you with it. Strength of e-liquids ranges from zero nicotine to 50 mg/mL. In some varities you’ll see the strength is mentioned in percentage. All this information only make things more confusing for new vapers. Nic salts or nicotine salt e liquids introduce you to a compound, namely benzoic acid, which smoothens out the unpleasent sensation in your throat caused by high percentage of nicotine. Thus, ecigs with larger concentrations of nicotine become more tolerable to you. The nicotine strength in e cigarettes thus ranges between 3 mg and 60 mg to cater to a broader range of smokers. If the nicotine strength in your chosen product reads anything above 20 mg/mL, chances are high that it contains nicotine salt e liquid. However, minor exceptions are there. While choosing your nicotine strength, you have to keep two things in mind. If you smoke upto 10 cigarettes a day, you’re a mild smoker and belong to the lower tier. If you daily consume a pack, you belong to the middle-tier and if you require 2 packs or more cigarettes every day, you belong to the upper-tier. However, this simplification may not satisfy every one. Therefore, you should stick to the basics. The ideal nicotine strength for you is the one that keeps you away from the conventional cigarettes rolled out of tobacco. Most e-liquids express their nicotine strength in mg/mL. This stands for milligrams per milliliter. It means, every milliliter of e-liquid in the tank contains the specified amount of nicotine. If a product reads 12 mg/mL, it means every milliliter of the product contains 12 mg of nicotine. If you have a 5 mL capacity vape tank, the total nicotine content in it is 12 x 5 = 60 mg. Some e liquids express their nicotine strength in percentage too. Such a product, which shows 0.3% of nicotine strength, contains 0.3% of nicotine and the rest (100 – 0.3 =) 99.97% of VG, PG and flavouring elements. This is also known as measurement by volume or NBV. When you have to convert a nicotine strength expressed in mg/mL just divide the value (or the amout in mg/mL) by 10. If the strength of nicotine in a e-Liquid is 6 mg/mL, it is (6 / 10 =) 0.6% when measured by volume. Similarly, when you have to convert a strength expressed in percent to its equivalent mg/mL, just multiply it by 10. I tried to use Electronic cigarettes before there's a lot of flavors and taste good but after try I cough HAHAHHA!I think Electronic cigarettes is better than ordinary cigarettes. Interesting! I had no idea there are different strengths. Is it really not bad for you at all though?? Nicotine is a poison after all.. This is really helpful. Is this different than CBD oil? Electronic cigarettes have been steadily rising in popularity. It sure helps to know the different varieties of eliquid. I am not a smoker either cigarettes or e-cigarettes. Never thought that that e-cigarettes contains nicotine too. I've been vaping since 2013 and I love it. It has definitely helped me quit smoking. I just wish that it wasn't so noisy. I always sound like Darth Vader when I vape and it's a little embarrassing. I have never heard of it but it sounds good. Great tips. I've seen more people using e-Cigs these days. It's surprising how much they're becoming acceptable in society.